Hey fiends....do you have graduation cards to make? As my children are getting older, I found myself only needing one card for a sweet young man this year. 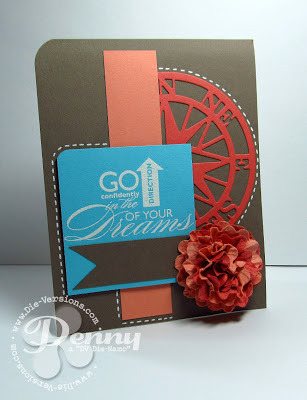 I love how the On the Trail die goes perfectly with the sentiment (Word Play by Stampin' Up). 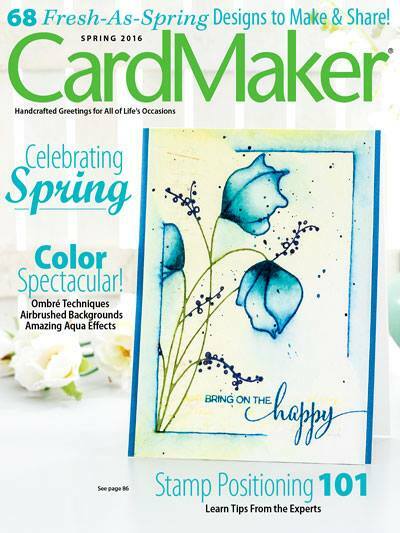 The flower is made by using a scalloped circle punch (5 times), layer and affix a brad, wet, scrunch each "petal" around the brad. Let dry and gently pull layers backwards. Hope you are having a wonderfully crafty day!!! That is a great flower!! And a very trendy design!!! Love how graphic this turned out, Penny! Love the colors too. That die and the sentiment are perfect together. What a bold, striking design Penny. Wow, love this die for a graduation card! Fabulous design.